Gaziantep – Wednesday, 19 August 2015 – The SRTF Management Unit (MU) has concluded three major financial agreements (FAs) worth approx. Euro 4.64 million for new recovery projects inside Syria this summer. The three agreements were signed by the Director-General of the SRTF-MU, Eng. Hani Khabbaz and representatives of the implementing entities (IEs) of the projects at the MU office in Gaziantep, Turkey. 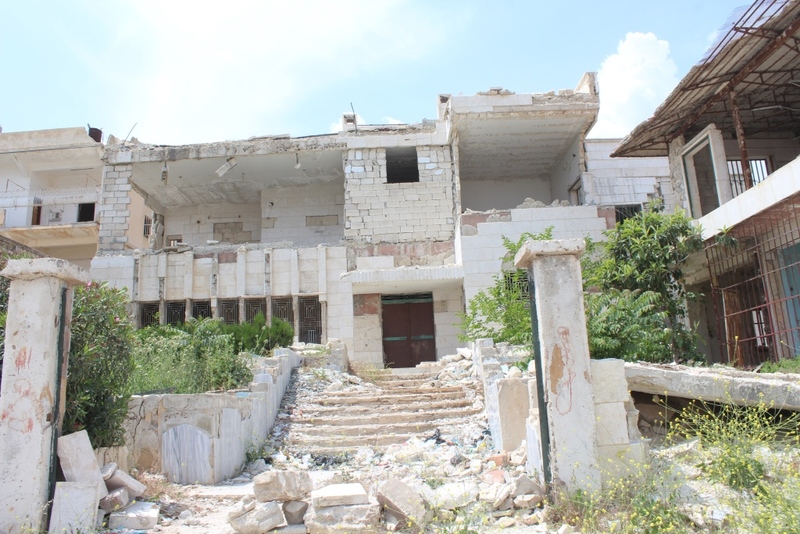 Under the first FA, the SRTF will provide Euro 725,578 for the supply of orthopedic implants and devices to a specialized hospital in a town in the Governorate of Hama. The monthly salaries of two orthopedic surgeons of the hospital will also be supported under this agreement. The implementing entity (IE) of the project, will take the responsibility of delivering these implants and devices as well as supervising the usage of these materials at this hospital. Some 2,500 patients will benefit directly from this project. Under the second FA, which was signed on the 9nd of July 2015 with the Projects Services Office in Hama Governorate Council, the SRTF provides a large amount of approximately Euro 2.157 to finance a first time intervention in the solid waste management sector. The SRTF funding will cover the costs of purchasing and distribution of a number of garbage compactors, garbage containers and other related supplies and accessories. Such supplies are necessary for solid waste collection and transfer by providing garbage trucks and tractors in selected security landfills. The funding will also enable the project to provide heavy equipment for landfill management in the project areas. In addition civil works will be carried out as part of an effort for rehabilitation of buildings belonging to sanitation directorates in the project areas. The project will also introduce a training & capacity-building programme for IE staff in solid waste management. The Funding will also help the project pay 12-month salaries of project staff and workers (i.e. engineers, technicians, drivers, laborers and personnel administrators). It is estimated that the project will directly benefit 104,500 inhabitants in the areas covered by the project. signed with the Sanitation Directorate of a city in Aleppo governorate today (19nd of August 2015), the third FA provides an SRTF funding of approximately Euro 1.75 million for yet another solid waste management project. The funding will cover the costs of procurement and distribution of plastic bags and containers among the direct beneficiaries of the project for solid waste collection and transfer of such waste by providing garbage trucks and tractors to their allocated security landfill. The project will also provide the landfill managers with heavy equipment and will cover the costs of rehabilitation civil works in buildings belonging to sanitation directorates in the various project areas. The Funding will also help the project pay 12-month salaries of key technical personnel (i.e. engineers, technicians, drivers, laborers and personnel administrators). It is estimated that the project will directly benefit 80,000 inhabitants in the areas covered by the project.